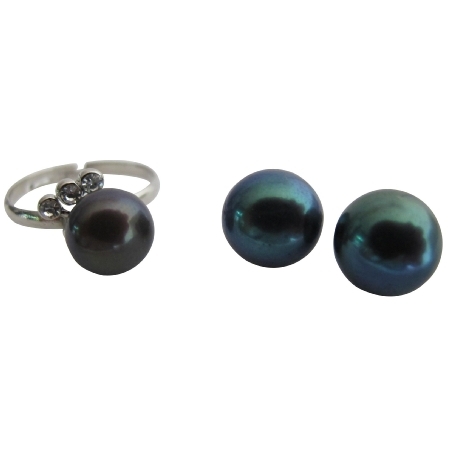 Beautifully Luxurious Tahitian pearl 10mm oyster shell Stud Earrings with matching ring which is adjustable accordingly to the finger size are simply elegant & beautiful. These classic 10mm stud earrings & ring are perfect to wear with any outfit on any occasion. Material Used : Oyster shell Pearl 10mm Tahitian stud earrings & matching ring 10mm pearl with cubic zircon on the side of ring. Earrings Type : Surgical Post Earrings.